(Washington – DC) Formed at Evangel Assembly Church in Maryland, on August 29, 2015, and to provide relief and recovery to The Commonwealth of Dominica and its stricken people, Rebuild Dominica, Inc. was formed. Through the generosity of Pastor St. Clair Mitchell, and just 2 days after more than 20 Dominicans lost their lives and over 100 more lost their homes, the founding meeting of this nonprofit was held. The featured video, donated to Rebuild Dominica, Inc. by Dan Feliciano of the Gabriel Christian Law Offices’ Technical Team, is aimed at generating support for the Dominica Cadet Corps in aid of its relief and recovery mission in the wake of Tropical Storm Erika. Rebuild Dominica is thankful for the efforts of documentary maker, Dan Feliciano of Maryland, for his efforts in capturing the spirit of these young leaders. The contribution of Lieutenant Oneil LeBlanc allowed the video to feature photos of some cadets in action. 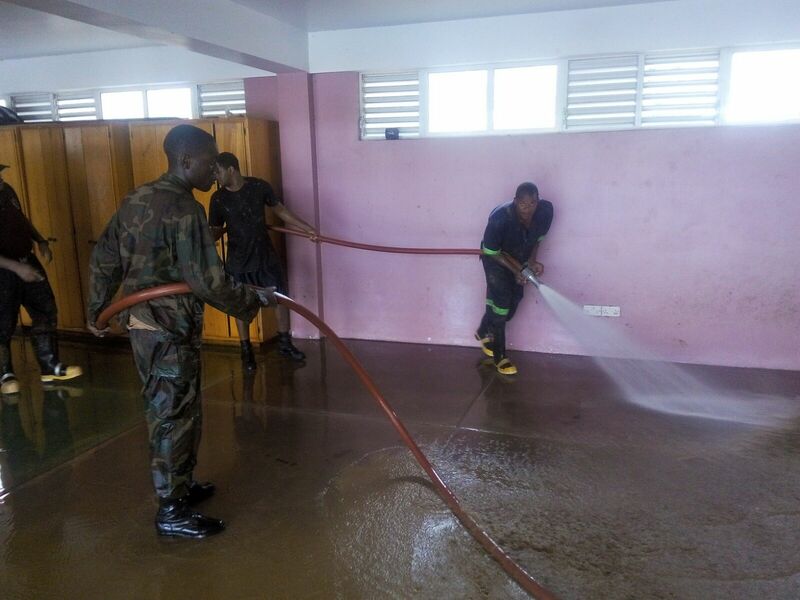 The Dominica Cadet Corps’ mission is to train each Cadet to become the personnel backbone of The Commonwealth of Dominica’s disaster relief efforts; in the event of a hurricane, volcano or other such disaster. Cadets develop special qualities of courage, leadership, sportsmanship, spirit of camaraderie, team work and self confidence. The purpose of Cadet Corps activities are to make every Cadet a nation builder, while making them sensitive to the needs and problems of the under-privileged and contribute meaningfully toward enriching community. 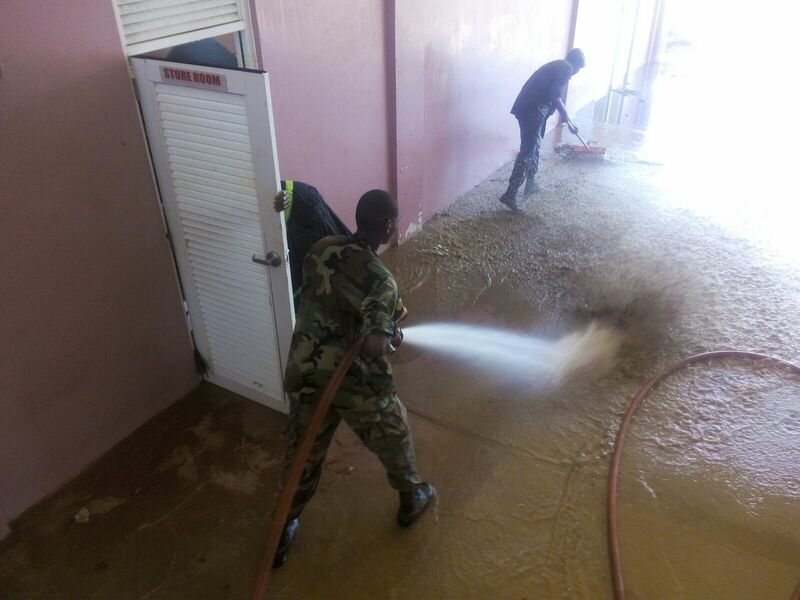 The Dominica Cadet Corps has gained a partner in Rebuild Dominica, Inc. This is a partnership of civic leadership and community development, based on the service organization founded at the Dominica Grammar School in 1910. Members of the Cadet Corps are high school students between the ages of eleven and eighteen. Rebuild Dominica calls on all Dominicans and supporters of The Commonwealth of Dominica to promote leadership by applauding the Dominica Cadet Corps for being silent giants: putting community and service above all. This video captures the noble conduct of the cadets in disaster relief efforts following Tropical Storm Erika. This is an inspiration to all who watch and a call to donate to the purchase of gear for the cadet program. Non-material support, mentors and encouragement of these brave young leaders would also be much appreciated. Rebuild Dominica, Inc. calls on all those desirous of helping these young men and women who support rebuilding efforts in Dominica to donate generously. The Dominica Cadet Corps‘ objective is to develop qualities of, discipline, equity, reason, faith, democracy, civic duty, leadership, courage, secular outlook, spirit of adventure, sportsmanship comradeship, respectful appreciation of the history of The Commonwealth of Dominica, its people and the importance of its national independence. In addition, the program intends to impart a zealous spirit of initiative and “can do attitudes” and ideals of selfless service amongst youth to make them useful and loyal citizens of the Commonwealth of Dominica. Each Cadet will be dedicated to strengthening of the fabric of discipline at all schools of which they are a part and at which they are expected to provide exemplary leadership. Every serious country maintains a platform for the systematic diffusion of service to country principles among youth, and the Cadet program intends to achieve that aim. Post-Tropical Storm Erika, many Dominicans and supporters of The Commonwealth of Dominica continue to step up to join Rebuild Dominica, Inc. — a nonprofit based in Washington D.C.
Efforts continue to restore The Nature Island and encourage those affected by the storm’s effects. In the midst of redevelopment efforts, Caribbean Agricultural Network leads the ranks as a strong supporter of Dominica’s relief efforts. Prior to the devastating floods brought on by Tropical Storm Erika, a collaboration formed between the Caribbean Agricultural Network, CiBEXO Group Dominica, and the Law Office of Gabriel Christian. The result was SPAGnVOLA Chocolatier‘s Chocolat de la Dominique – The Nature’s Island 70% Dark Chocolate bar. This is a premium chocolate collection made from Dominican cacao. 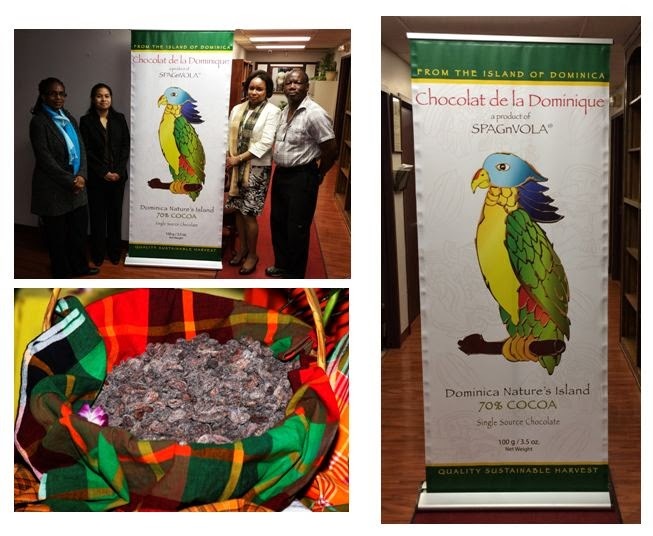 Caribbean Agricultural Network and SPAGnVOLA have committed to donate 100% of the proceeds of their first production of Dominica’s SPAGnVOLA Dark Chocolate bars to post Erika relief and recovery. A select number of the artisan chocolate bars are now on sale at SPAGnVOLA outlets in both Gaithersburg, MD and DC’s National Harbor. 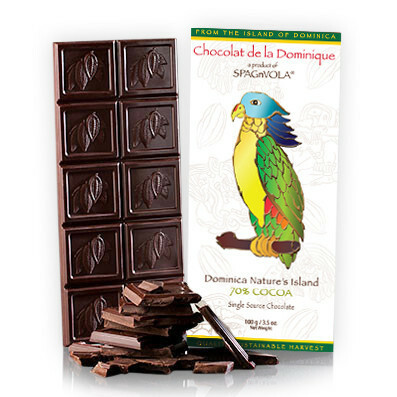 The single source chocolate bars are produced from Dominica’s cacao with a sale price of $25.00 per bar. The official SPAGnVOLA press release on September 27th 2015 quotes SPAGnVOLA’s head chocolate maker, Crisoire Reid, as stating, “The main ingredient in these bars is love and this is what’s being sent to Dominica with a 100% of the proceeds from this effort.” According to an official statement by the founders of Caribbean Agricultural Network, this fundraising effort is a demonstration of their commitment, not only to the farmers, but to the people of The Commonwealth of Dominica. The goal is to raise $25,000 from the sale of 1,000 bars, with 100% of those proceeds going to Dominica disaster relief efforts. A sampling event in November at The National Harbor in DC will soon be announced. In the words of Caribbean Agricultural Network CEO, Francis Richards, “We need to create a business culture within agriculture… [and] adopt new technologies to improve production and new products, or product offerings, penetrate new markets. In that fashion we can become trend setters in food production.” This commitment from both Caribbean Agricultural Network and SPAGnVOLA to donate 1,000 Dominican premium chocolate bars help Rebuild Dominica, Inc. continue its work of aiding with Dominica’s disaster relief. Please subscribe to the Rebuild Dominica newsletter to be the first to get more details regarding Rebuild Dominica Inc.’s Weekend in Solidarity With Dominica event this fall. The Caribbean Agricultural Network (CAN) believes in the philosophy of “CAN DO!” CAN marries the skills of agricultural scientist, lawyers, marketers, innovators and the best in computer science technology to enhance Caribbean agriculture. Their network links the farmer, agriculture departments and exporters of agricultural products with regional and international markets, financing, technology and consumers to allow producers to receive a better price. CAN intends to partner with farmers across the Caribbean region so they can receive training along with technical and business-management support to produce well-planned, sophisticated crops. Among the products the company will place focus on are cacoa, ginger, yucca, yams, sweet potatoes, dasheen, oranges, mangoes, avocados and mushrooms to name a few. The network will also boost food security in the Caribbean by introducing best business and other practices to boost agriculture and fisheries. CAN also intends to partner with US farmers and others in the Americas to share in the networking so necessary to absorb best practices. Since 2009 SPAGnVOLA has made an unprecedented name for themselves within the chocolate industry. Using the finest cacao beans harvested from their private farm in Dominican Republic. The company handcrafts exquisite premium chocolates through a vertically integrated process. SPAGnVOLA is engaged in a number of international projects with other cocoa-producing countries with an emphasis in transforming the industry by adding greater value to cacao farmers. SPAGnVOLA is a 2015 award winner of the London-based Academy of Chocolate. They specialize in artisan single-source premium chocolate bars. In partnership with the Centre for Food Security and Entrepreneurship, University of the West Indies, Cave Hill, SPAGnVOLA is to start training chocolatiers and chocolate makers from Caribbean’s cocoa producers in Trinidad and Tobago, Dominica, Grenada, St Lucia and St Vincent and the Grenadines. To ensure that Caribbean farmers add value to their cocoa, this partnership will establish a chocolate-making factory in Barbados on a 30 acre plot of land donated by Barbadian philanthropist Eddie Edghill and his family. Legendary Dominica-born trailblazer in music and Founder of Exile One, Gordon Henderson, will be presented the TrailBlazer Award at the 22nd Annual Caribbean American Heritage (CARAH) Awards Gala. 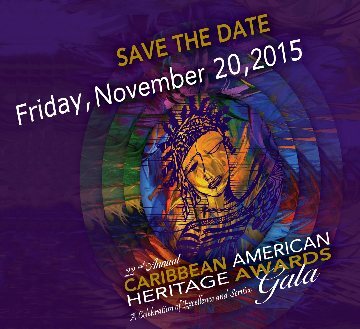 The event will be held on Friday, November 20th 2015, at the Hyatt Regency Hotel on Capitol Hill in Washington, D.C. The Gala will be taped and aired on CaribVision TV through a partnership with Caribbean Media Corporation in the Caribbean as well as on Cable TV in US markets served by CaribVision. Mr. Henderson’s selection had the strong support of Rebuild Dominica, which has had the support of The Institute of Caribbean Studies, Inc. in its fundraising efforts. 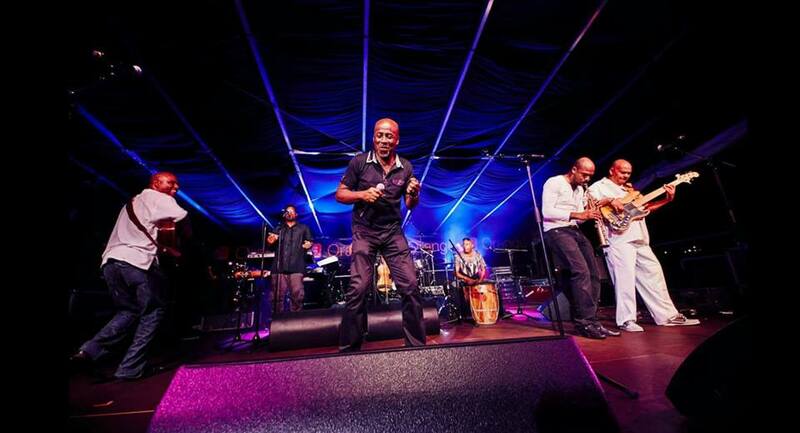 According to a recent article by Cable Broadcasting Network 4 (CBN4), Henderson hosted the Dominica Renaissance Concert on the neighboring island of Guadeloupe. “While final revenues from the concert have not yet been tallied, Henderson tells CBN4 that the concert was a major success with an estimated output of 12,000 € … More concerts will be held in Martinique, Paris and Reunion Island in the Indian Ocean at dates to be announced.” The theme song for the concert series is “Lévé Dominique” (Stand Up Dominica). The tribute is performed by Henderson in support of his native island: The Commonwealth of Dominica. With efforts to rebuild Dominica still in process, this song serves to encourage citizens after the damage caused by Tropical Storm Erika. A true pioneer, Gordon Henderson was the first Créole musician signed to a major French label, Barclay, which is today a part of Universal. He is known as the God-Father of cadence-lypso: a fusion of cadence and calypso. Henderson has received numerous awards to include The AFRICAR MUSIC AWARDS (Ivory Coast), The Golden Drum, The National Meritorious Award, Lime Lifetime Achievement, The DFC Lifetime Achievement, and The CIAO Award Washington. Henderson is also the author of Zoukland, which is a book about the making and developing of modern Caribbean créole music. His publications references include The Pop Music of a Continent (African All Stars) by Chris Stapleton and Chris May, Zouk: World Music in the West Indies by Jocelyne Guilbault (University Chicago Press), and World Music/The Rough Guide by The Penguin Group. Former winners of CARAH Awards include Jimmy Cliff, Reggae Icon, Marcia Griffiths, the Hon. Rita Marley O.D., Freddie McGregor, Jazz Star on the Rise Etienne Charles, Pan Master Robbie Greenidge, Calypso Legend, and Dr. Francisco Slinger (“The Mighty Sparrow”). Former CARAH attendees and honorees have included Prime Minister Dr. Keith Mitchell of Grenada, Prime Minister Dr. Kenny Anthony of St. Lucia, Prime Minister Owen Arthur of Barbados, Congresswoman Barbara Lee D-CA, Founder of Black Enterprise Earl Graves, US Attorney-General Eric Holder (of Barbadian heritage), the legendary Cicely Tyson (of Kittitian heritage), Founder of the top black-owned accounting firm Mitchell & Titus, Bert Mitchell, NASA Scientist of Aruban heritage Sir Edward Chin, and Author of Trinidadian heritage Professor Elizabeth Nunez. The group EXILE ONE is the first Creole Music group to sign a recording contract with a major record company. The band became famous through its own brand of music, which it called Cadence-Lypso; a precursor of Zouk, Soca and Bouyon. 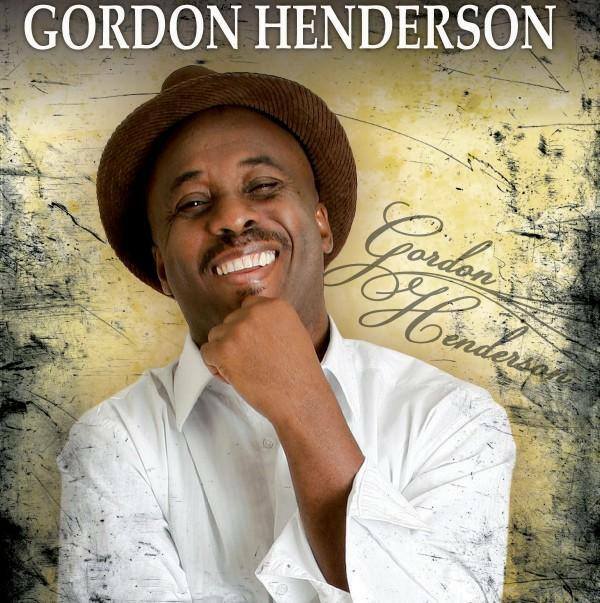 The group has changed its format around lead singer, songwriter and composer Gordon Henderson and has performed in many countries and continents around the world. The Caribbean American Heritage (CARAH) Awards were instituted in 1994 by the Institute of Caribbean Studies in order to demonstrate the contributions that Caribbean immigrants make to the USA. Also honored from time to time are Friends of the Caribbean whose work contribute to the well-being and welfare of the Caribbean peoples. ICS’ Founder and President, Dr. Claire Nelson cites the CARAH Awards as part of the organization’s campaign to ensure that the conversation on the future of America and immigration includes a recognition of the indivisible historical linkages between the US and the Caribbean. The Institute of Caribbean Studies (ICS) is a non-partisan, non-profit 501 (c)(3) organization established in 1993 dedicated to education, advocacy and action on issues that impact on Caribbean Americans. The purpose of the Institute is to provide a forum for the public and private sector, the non-government organization community, scholars and others interested in promoting a dialogue and to assist in the execution of actions that result from that dialogue. ICS has become leading community think-do tank in the Caribbean diaspora in the US. ICS is the architect and campaign chair of National Caribbean American Heritage Month, executive producer of the National Caribbean American Heritage Awards since 1994, Conveyor of the Invest Caribbean Business Leaders Dialogue since 1999, and the Caribbean Futures Initiative established in 2007.